The details in beautiful architecture can sweep us away with its beauty. And one architectural detail that can take ‘ordinary’ to ‘extraordinary’ is a beautiful staircase. 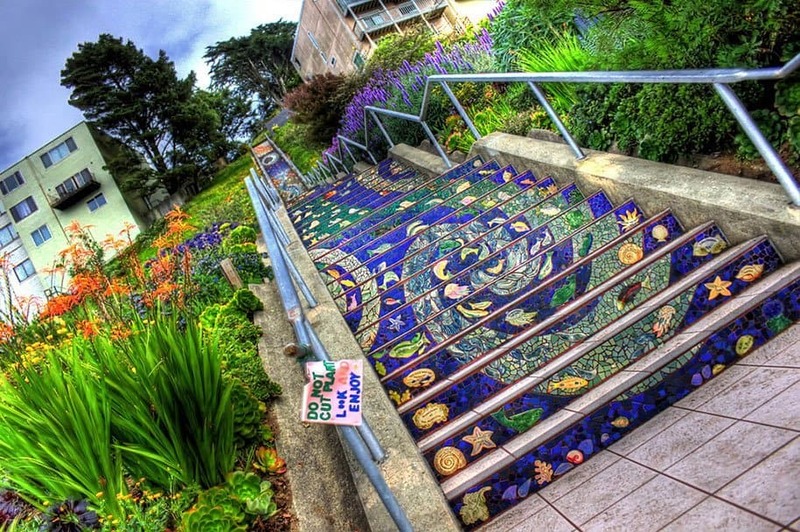 Whether it’s the structural design, unique artistic touches, or the optical illusions they create, staircases can be quite enchanting. Here are 15, from all around the world, that will delight and surprise you with their beauty or cleverness. Oh, and motivate you to make that journey to the second floor and beyond! This is one of the coolest on the list. 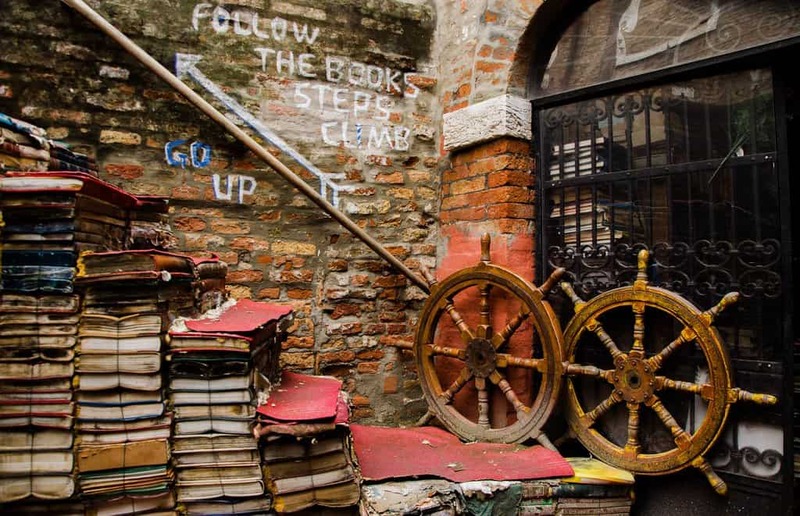 Not only is the Libreria Acqua Alta a book lover’s dream, the stairs you’ll use to climb to the second floor are made from books! 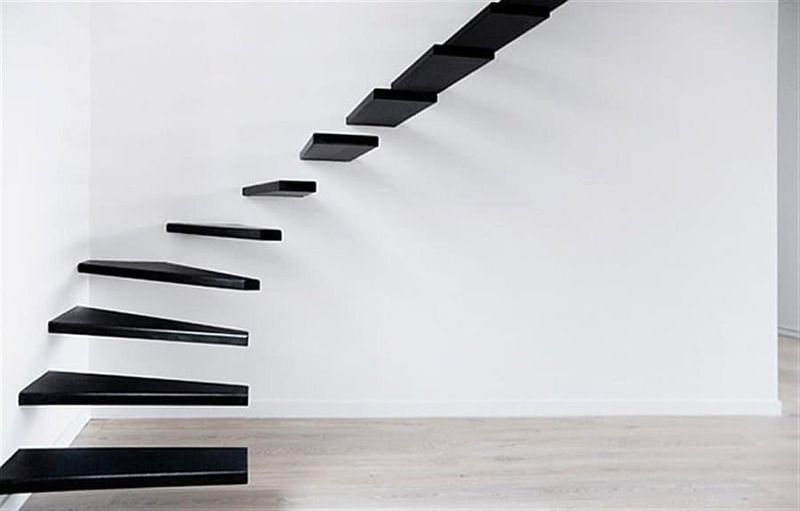 These beautiful hanging stairs by Officine Sandrini create an optical illusion of just floating in place. But you can trust that the Italian-made steps are safely in place! 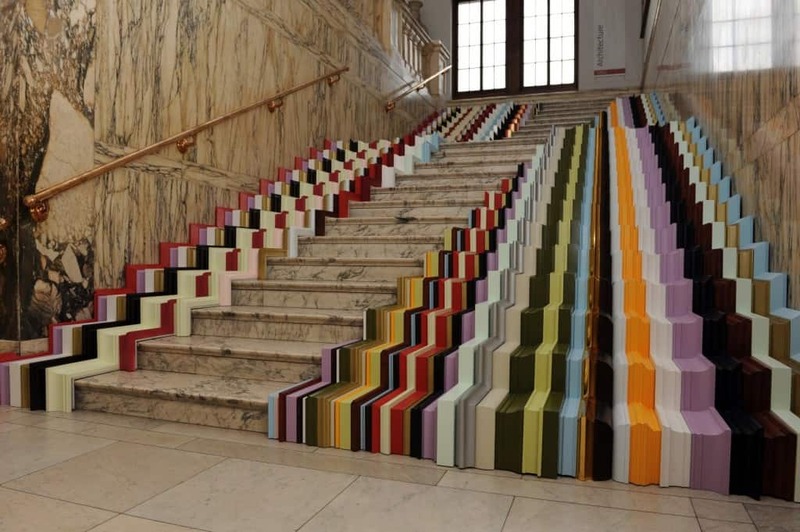 The Framed staircase was commissioned by the Victoria & Albert museum in London, in 2010. It has 600 meters of frame profiles that have been cut, sanded, colored (including gold leaf) and pieced together to create this explosion of color up the sweeping staircase. The MSC Fantasia lets passengers cruise in style. 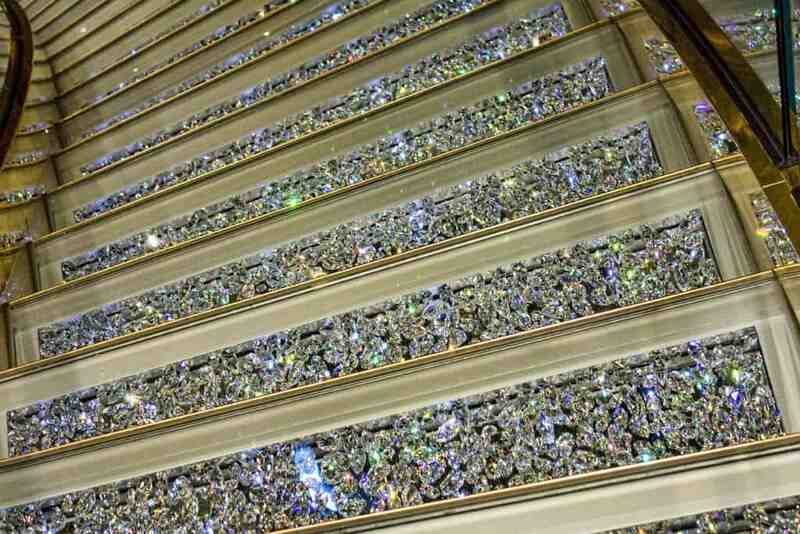 Each step on the staircase is covered in $40,000 worth of Swarovski crystals! During the Dali exhibit at the Philadelphia Museum of Art, a picture of the famous artist was also brought to visitor’s feet. 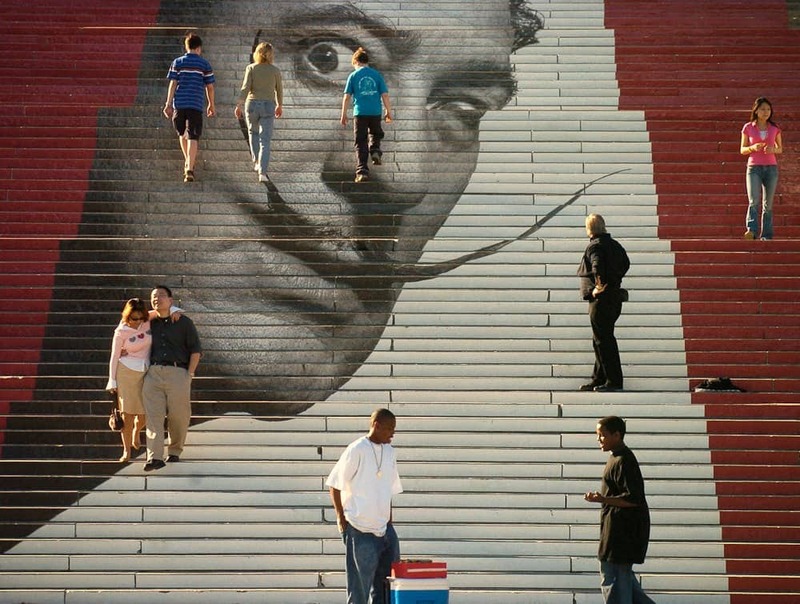 A giant picture of his face covered the stairs leading up to the front entrance. 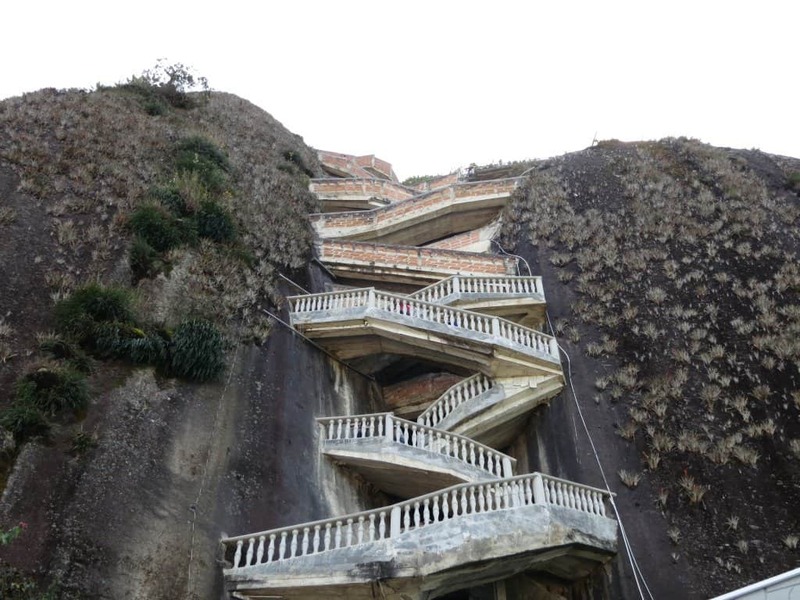 This isn’t a flight you’ll want to take if you’re afraid of heights.The 659 zig-zag steps at Guatape take you to the top of this rock and while you’ll get the workout of your life, the 360 degree views from the top are well worth the trek. It’s already exciting enough to go to the theatre, but there’s even more when going to the Musical Theatre in Seoul, South Korea. 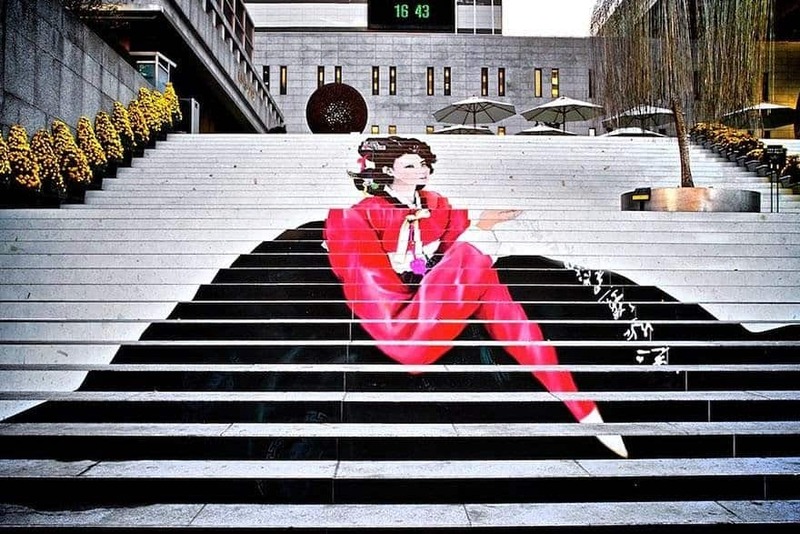 The long flight of stairs leading up the front door are painted with a beautiful woman. 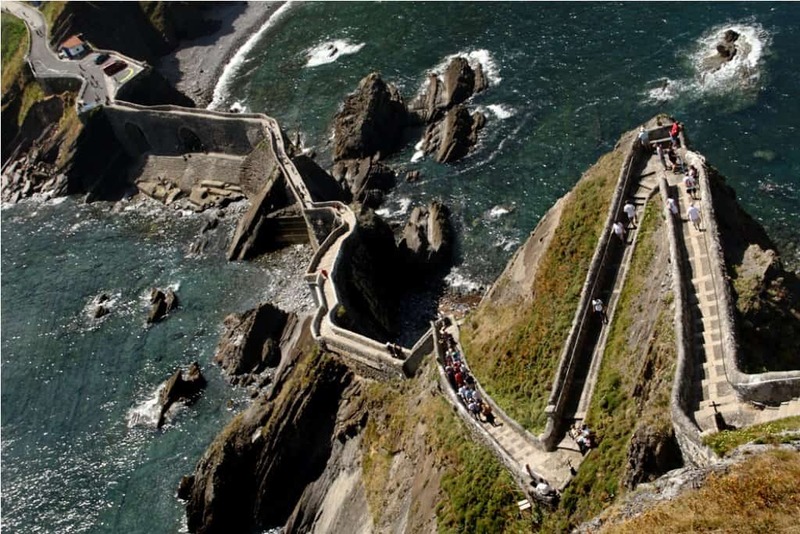 These magnificent stairs in Gazletugatxe, an islet on the coast of Biscay in Spain, are composed of 237 steps with sweeping views. They lead to a small church that dates back to the 10th century and is believed to have come from the Knights Templar. 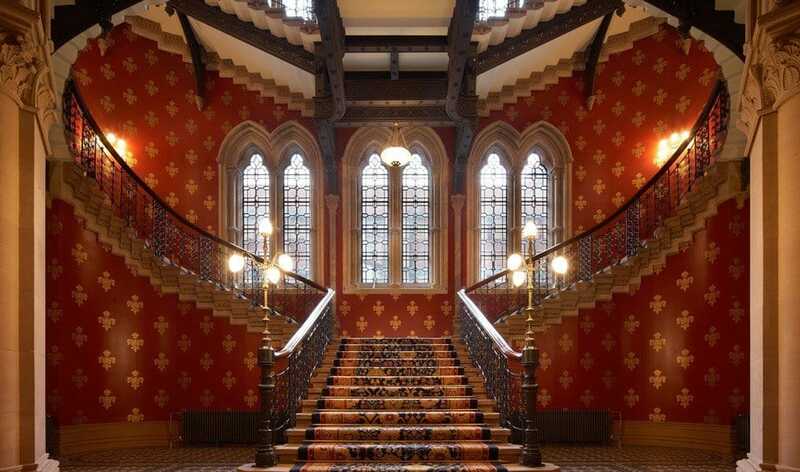 The list wouldn’t be complete without a ‘grand staircase’ and the one at St. Pancras hotel does a fine job. The staircase spirals heavenward and becomes even more decadent set against the gold on maroon fleur-dis-lie wallpaper. 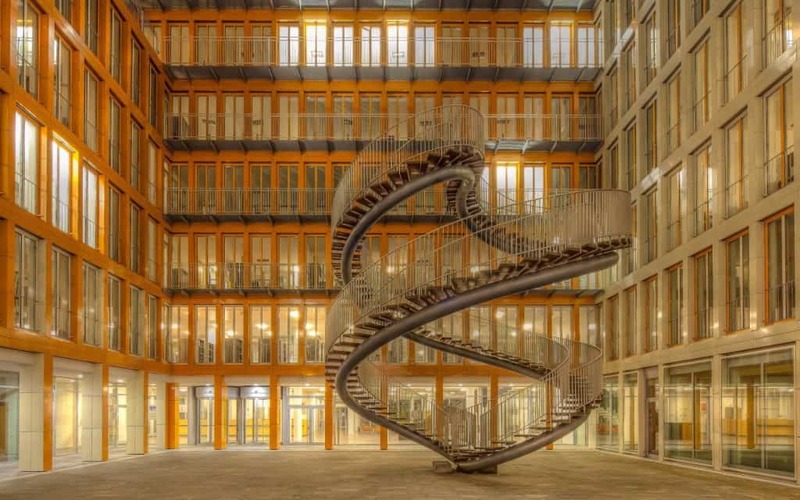 This dizzying staircase and work of art sits in the courtyard at the global accounting firm KPMG, in Munich. The 30 foot tall staircase might lead to nowhere but it does make a grand statement. These stairs by Ecole sure make for a conversation piece. 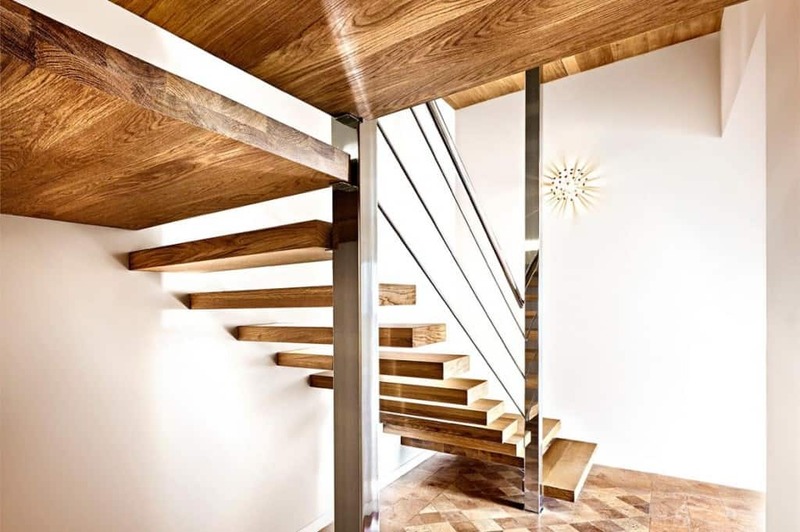 The cleverly structured stairs give the illusion that they’re floating in space. 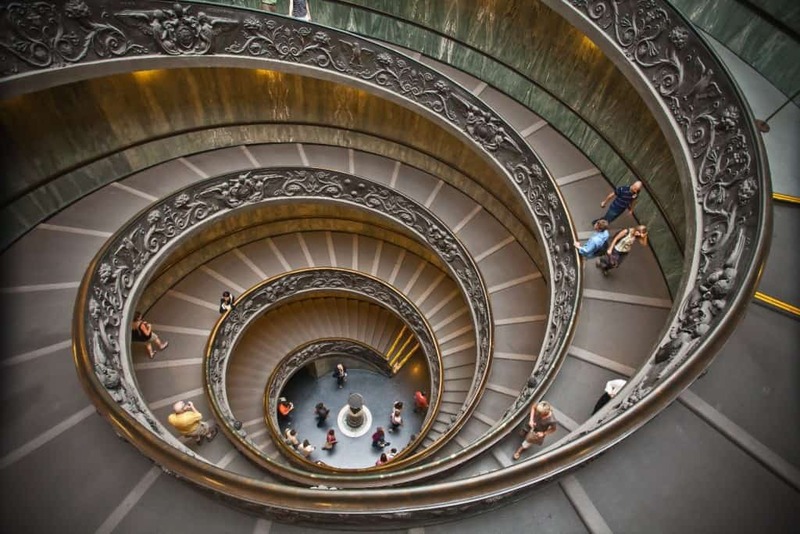 This double helix staircase—two staircases—at the Vatican was designed so that ascending and descending traffic wouldn’t pass each other. It was originally carved in 1512 to accommodate horses. 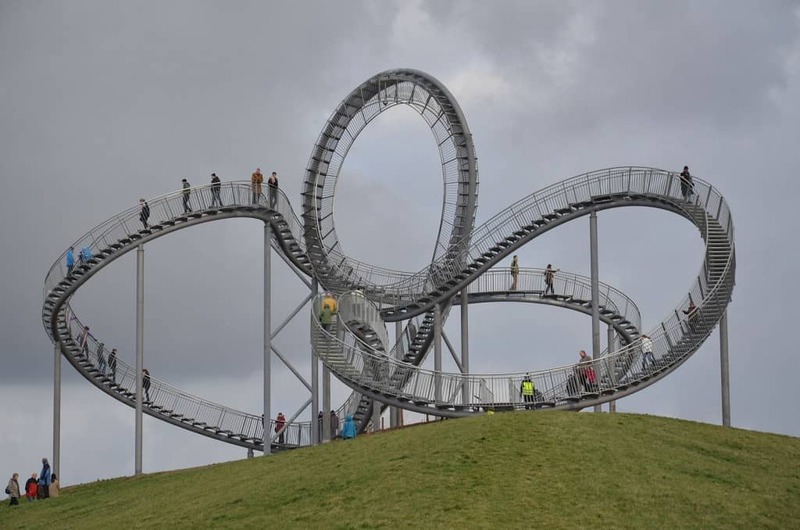 These stairs, also called ‘Tiger and Turtle – Magic Mountain’, create a walkable roller coaster for those who want to take that exhilarating ride, while moving at their own pace. And going slower also means getting to take in some beautiful look-out points along the way. The 142 steps of the Scala di Santa Maria del Monte are already beautiful with their ceramic patterns. 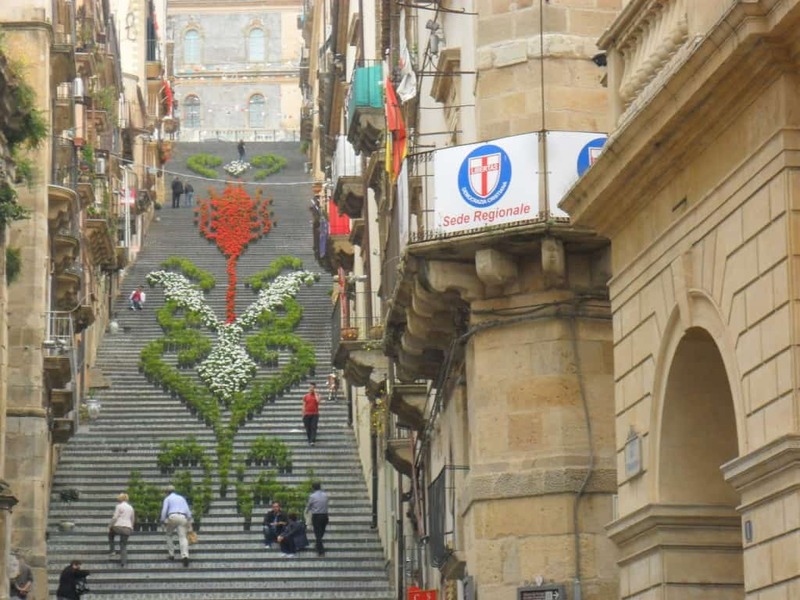 But in the spring and summer they become breathtaking with the potted flowers and lanterns locals place to make intricate designs along the steps.